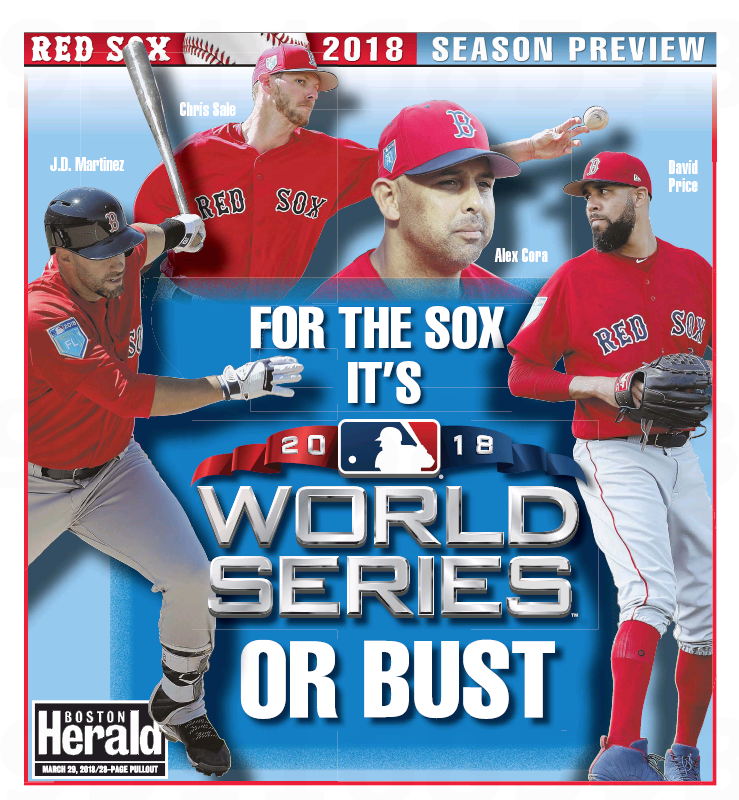 Today’s edition of the feisty local tabloid features its Red Sox 2018 Season Preview in advance of this afternoon’s Opening Day game in Tampa Bay. The good news? 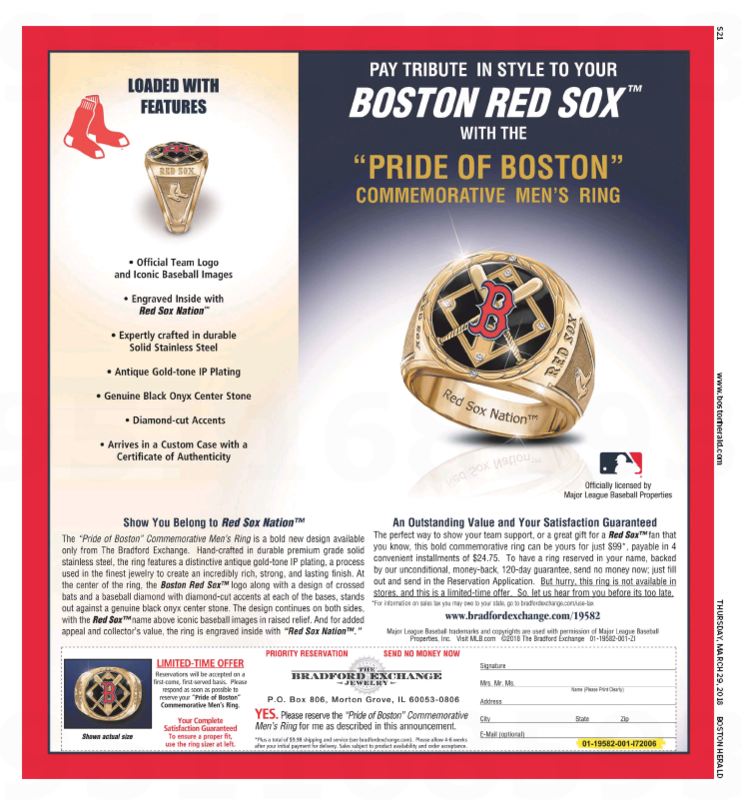 Steve Buckley’s There’s still time for David Price to become beloved in Boston. The bad news? NECN’s Fire Reported at Tropicana Field Ahead of Red Sox Opener. The ad news? The thirsty local tabloid actually has a bunch of full-page ads in the special section. But oddly, 10 out of 11 are for auto dealerships. This is the other one ($99 for those of you keeping score at home). Even odder, these are the only two ads that ran in Sunday’s Boston Globe Coming of Age season preview, one of which is a house ad. 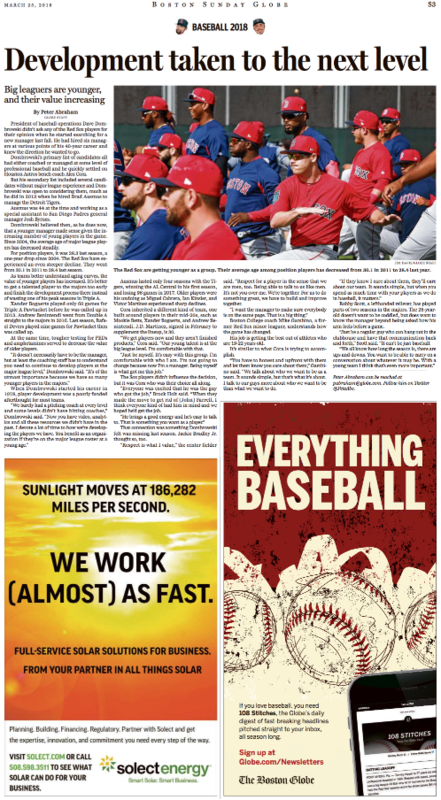 In today’s edition Globe scribe Dan Shaughnessy asks, Are fans ready to embrace the Sox? You tell us, but advertisers sure as hell don’t seem to be.